Close your eyes to the nice sun that warms your face and heart and toast with me… Alegría, ya es Primavera! Small things make my day and these tapas, the sun and the beer cheered me up! The secret of happiness is always in small things. Write this recipes down and look for a sunny spot and a beer :D.
It’s hard to choose one, they were all absolutely delicious! You can also make your own! 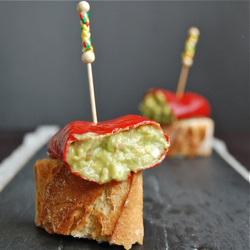 It’s not difficult at all, you only have to prepare some of the ingredients the day before and then, when everybody is at the table with a glass of wine or beer surprise them with a beautiful looking tray of tapas. You will be original and your guests will be delighted ;D. And will probably come back the next weekend asking for more! 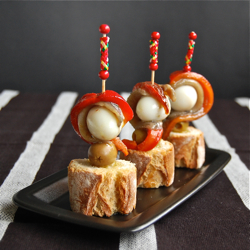 See how easy this can be; for the First one you will need: 1 boiled egg quail, a string of roasted pepper, 1 anchovy in vinegar, 1 olive and a slice of good bread. Extra virgin olive oil and salt. 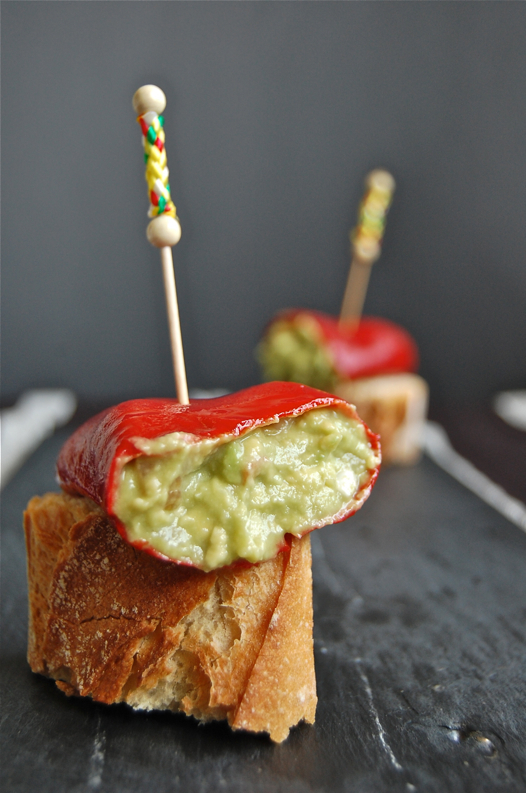 For the Second one you will need: 1 piquillo pepper and guacamole. 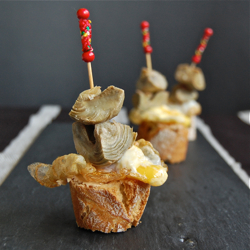 For the Third: 2 artichokes preserved in extra virgin olive oil, goose or duck foie, a fried quail's egg and salt. How to prepare anchovies in vinegar? Clean the fresh anchovies: take the head and guts out. Wash under tap water and place inside a recipient and pour new water on it so that you cover all anchovies. Have it there for 1 hour so that all the blood stays in the water. Rinse and place again in a clean recipient and cover with vinegar (a white wine vinegar will leave a soft flavour on them). Place in the fridge. After two hours, rinse the anchovies and place in another recipient, cover with extra virgin olive oil, some cut garlics and minced parsley. Place in the fridge and it will be ready to use after 4 or 5 hours. My advise: prepare the day before. How to roast peppers? Wash and dry the peppers and grill them until all the skin burns and becomes black. Keep them inside a recipient with the lid on so that you make them sweat. Peel after one hour and reserve in the fridge when cold. How to prepare the artichokes candying/preserve? Cut the outer leaves of the artichokes and rub a lemon against their hearts. Cut in 6 pieces each and put inside a pot and cover with extra virgin olive oil. Turn heat on to the lowest possible. Artichokes shouldn't get fried. Have them there for 1 hour and a half or until they are tender. Check it with a toothpick. Let them cool down over kitchen paper and keep in the fridge. Pass me a beer and a few of these and I would end my day with a bang! Spring is a beautiful time of the year and the best way to celebrate is with delicious food. 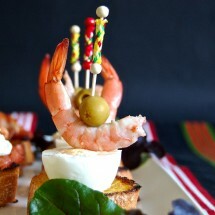 I love these tapas! 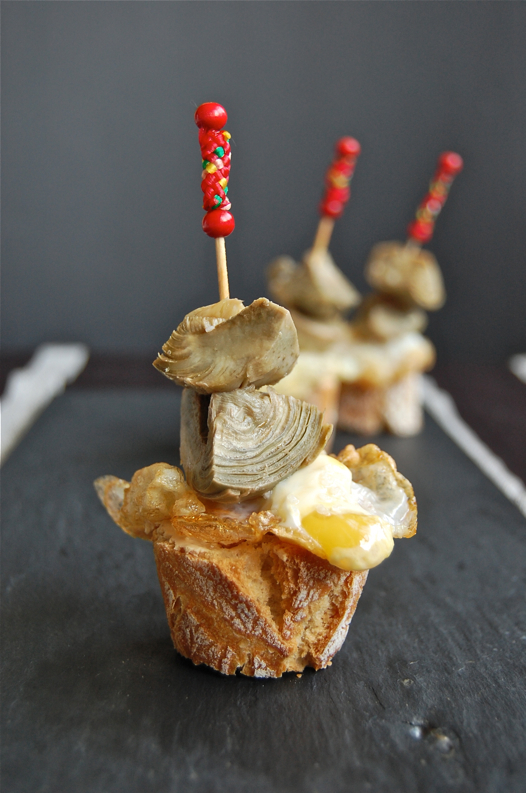 Spring/Summer and Tapas just go together so well! 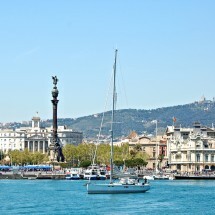 I can’t wait to visit Bacelona to have all of the above with mucho vino. Hopefully you will give me some pointers in photography…you are so talented. I would prefer a glass of wine as well because I only enjoy a glass of beer when its around 40C :) Lovely tapas very similar to the ones we make mezedes in Greece. 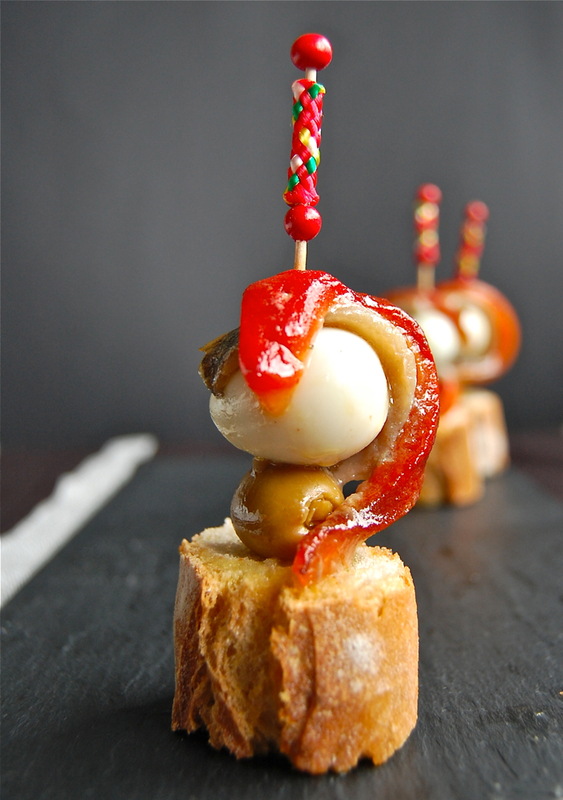 Oh, how I wish I was sitting at a cafe, sipping wine and nibbling tapas… I miss Barcelona!